Klinka chair is discrete and versatile. The richness of its design lays in its simplicity, where straight lines harmoniously converge to create a continuous form that naturally embraces the seat. Its contemporary form can adapt to various contexts, interior or exterior. Its honesty and cleanness make it an elegant piece. Carefully handcrafted by Salvadoran artisans, the profile of the chair is made of welded structural metal tube, combined with round tubes to support the seat. It is also manufactured to generate the minimum waste possible. 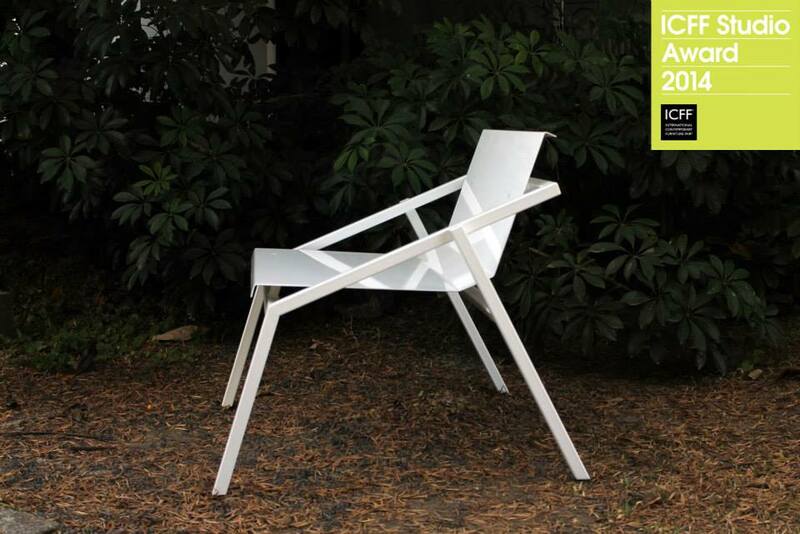 Designed by Andy Hasbun and Monika Heinzelmann for Markamoderna, proud participants of ICFF Studio 2014. If you want more detailed information on this product, click here.